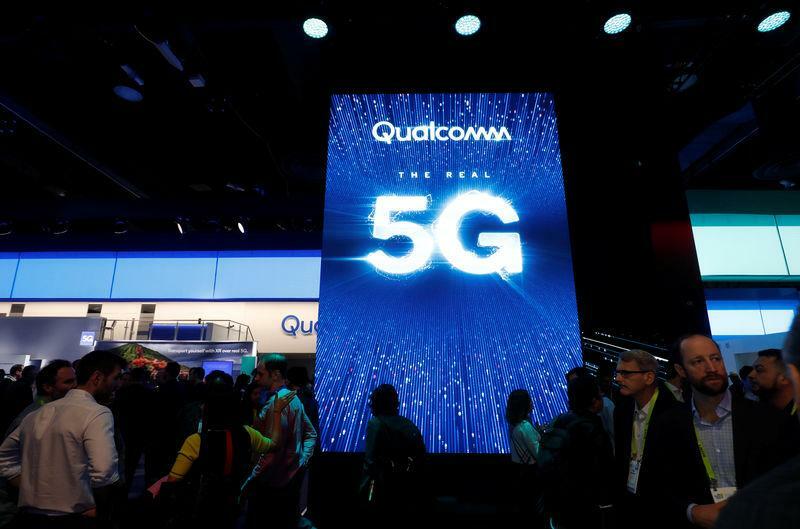 (Reuters) - Qualcomm Inc on Tuesday introduced its second-generation of so-called modem chips to connect phones to 5G networks, speeding up the race around faster wireless data connections expected to begin rolling out later this year. Qualcomm, the world's largest mobile chip supplier, is hoping the device will fuel the spread of 5G phones later this year and next year. While Chinese phone makers such as Xiaomi Corp last year used Qualcomm's first-generation chip for small batches of 5G phones, the second-generation chip announced Tuesday is aimed at mass production. The move comes a day before Samsung Electronics Co Ltd, the world's largest smart phone maker, is set to announce its new flagship Galaxy series phones. Samsung and Qualcomm in December publicly committed to working together to release a 5G phone this year, and analysts believe Samsung will unveil a 5G version of its flagship models this week. Qualcomm's chips are entering a crowded field. Huawei Technologies Co Ltd, the world's third-largest smart phone maker, last month announced that it has built a 5G chip that it will use in its own phones. Samsung, too, has a 5G modem called the Exynos 5100 that will power many Samsung devices sold outside the United States. Taiwan-based MediaTek Inc also has 5G chip, with Intel Corp targeting the second half of this year for a release. For Qualcomm's part, the company is also introducing several chips surrounding the modem. Some elements of 5G phones, such as the design of antennas and chips for handling analog radio waves, are more complicated than previous generations of phones. Qualcomm aims to speed up adoption of 5G by also selling those technologies to phone makers. "This year, virtually every major Android [phone maker] will be launching a phone with 5G," said Ignacio Contreras, head of 5G marketing for Qualcomm. In its iPhones released last year, Apple dropped Qualcomm's chips in favor of those from Intel. Apple disclosed in a court hearing last month that it had held talks with MediaTek and Samsung about supplying modems for 2019 iPhones, but Bloomberg earlier reported that 5G iPhones will not appear until 2020.